zTrace does not offer computer tracing and monitoring software in US, Canada, UK, Germany and Australia. Click here if you are interested in computer tracing and monitoring software. Protecting your laptop from theft, and how to track it down if it's missing. Unless you can afford to travel with an armed guard, you will need to protect your laptop with zTrace. zTrace and HP Campus Advantage provide best-of-breed security applications for education. Innovative TV show focuses on the dangers facing computer users. zTrace featured on radio lazlow, a nationally syndicated radio feature about technology. Recover your laptop if it is stolen by using zTrace Gold, says IBD. RED HERRING talks about laptops that take care of themselves and how zTrace technology makes it happen. ABC News calls zTrace Gold the most intriguing PC-related product at PC EXPO. USA Today features zTrace software and how it helps recover stolen laptops. 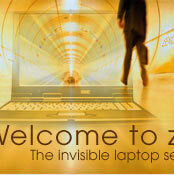 ZTRACE GOLD is an invisible software security application that traces the location of missing laptops for recovery. ZCONTROL is an invisible remote control software security application, that retrieves files, deletes sensitive information and maintains data privacy AFTER computer loss. Protect your laptop by installing zSecurity Suite applications. Monitor and manage your assets, your security and your sensitive data. Is your laptop lost or stolen? You can feel secure. 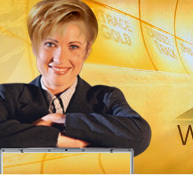 Your data is safe and your laptop will be recovered and returned to you. Security software for the world on the move. Yale University Selects zTrace to Provide Laptop Protection to Students.